Marcellin College is a leading Catholic secondary school for boys conducted by the Marist Brothers since 1950. From this simple statement is born the richness of our identity. As a Marist school we answer the call of Saint Marcellin Champagnat who said that to educate young people we must love them and love them all equally. Marcellin is a place where all are welcome, valued, known and supported as they seek to discern pathway in life. Our tradition, embraced by all in our community, promotes unconditional respect, a love of learning and the personal growth of each individual within a cooperative and supportive faith community. Our extensive and inclusive academic and co-curricular programs encourage our students to broaden and develop their skills and interests in a supportive and nurturing environment. I would like to extend a warm welcome to prospective new members of our community. John-Patrick has been at Marcellin College since 2012 before which he attended St Francis Xavier Primary, Box Hill. In his early days at the College, John-Patrick found the transition from primary school to secondary school life very challenging. Through the support of his teachers and peers, especially those in his pastoral, John-Patrick came to feel at home at Marcellin and began developing his confidence, as well as his now strong passion and love for the College and its 'Nest culture'. 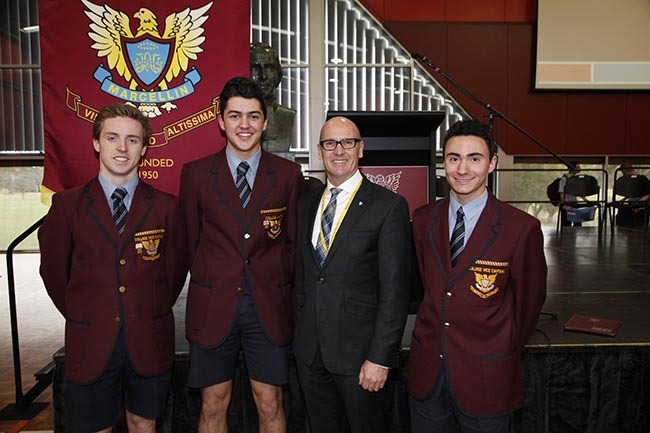 The Marcellin community provided John-Patrick with an empowering sense of belonging that he is now determined for other boys at the College to experience. In his time at Marcellin, John-Patrick has been a heavily involved member of Lavalla House and has represented Lavalla as an SRC representative in both Year Eight and Year Eleven. John-Patrick has also involved himself in the sport program at Marcellin, participating in both Football and Soccer throughout his five years at the College. It is through his involvement in co-curricular as well as the academic aspect of College life that John-Patrick has been able to develop strong connections and relationships with both staff and students - something that now drives him to strive for the highest in all aspects of his College life. In Year Twelve John-Patrick will be undertaking Unit Three and Four VCE English Language, Further Mathematics, Indonesian, Psychology and Physical Education. For 2017, John-Patrick is working towards strengthening an inclusive culture that embodies the Marist characteristic of Presence. 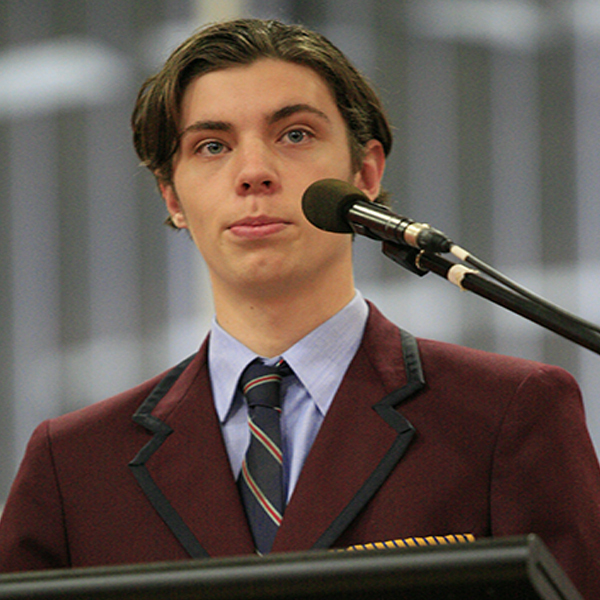 In his inaugural address, John-Patrick called each individual of the Marcellin community to be a presence for others and to create their own legacy at Marcellin College. Along with the 2017 Leadership Team, he is striving for an environment that encourages boys to serve the College and immerse themselves in all the College has to offer. A community that personifies the Marist pillars as well as embodying a strong sense of belonging and team is a community John-Patrick looks at building towards in 2017.